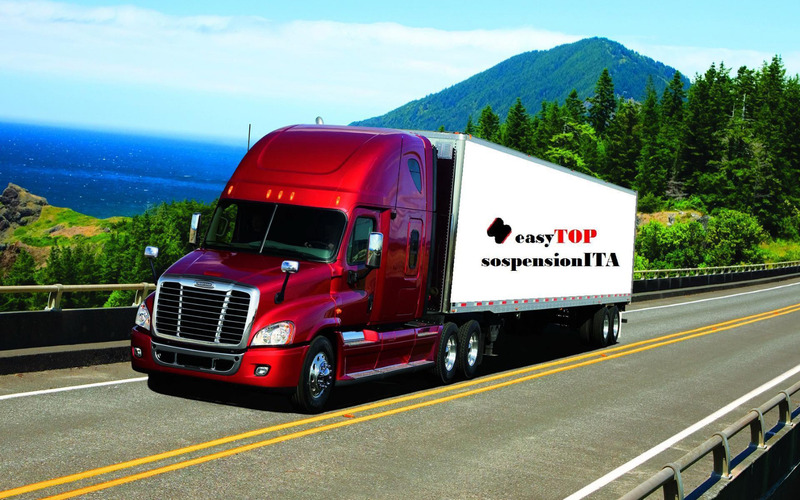 It is possible to purchase and collect easyTOP spring on site or have it delivered in Italy, Europe, Asia, America, by ensured delivery courier from Italy by GLS/SDA/FEDEX/Italian Post. You can purchase your easyTOP kit from the catalogue without any registration. For a cumulative order of 2 or more easyTOP airsping kits, you will get a significant discount on the shipping cost, which can vary depending on the Country of destination. Draw Gallery: become a fan, go to easyTOP official fb page , click on to stay up to date on the latest news. Leave your Review and a picture on our facebook page sospensioni easy TOP and win a discount of € 15 on your next order of easyTOP suspension kit or individual parts of the kit. After making the payment please send us written confirmation via email and copy of the payment. We provide for ensured shipping within 24 hours from the payment, via courier GLS/Italian Post. The client is provided with the tracking number of the shipping as soon as the product leaves the warehouse and it is handed over to the courier. The delivery takes about 3 working days from the hand over to the courier.